We are even more excited than you are!! Why you ask? Well, we have a new custom, colorful, handmade line on the way to Eye Spy in January…and frankly, we need somewhere to put all the new frames. 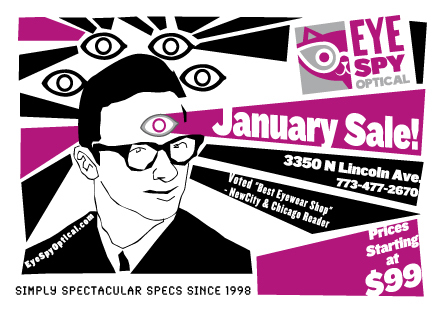 We don’t have any extra room at Eye Spy, so that’s where the sale comes in!! For the ENTIRE MONTH OF JANUARY, our handmade eyewear will be discounted from 25% to 75% off, with prices as low as $99! Swing by to check out deals over a 100 pairs of frames including Theo, Anne et Valentin, Rapp, Res/Rei and Mykita. 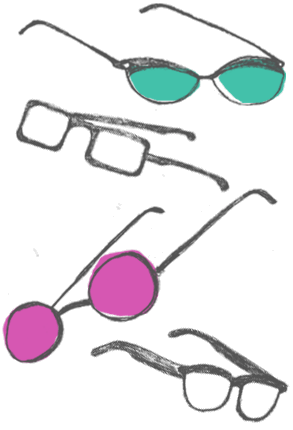 Best of all, we will have of Lafont, Francis Klein & RVS frames that will be up to 75% off! Treat yourself to a new look for the New Year! We are also having a Friends and Family Event! 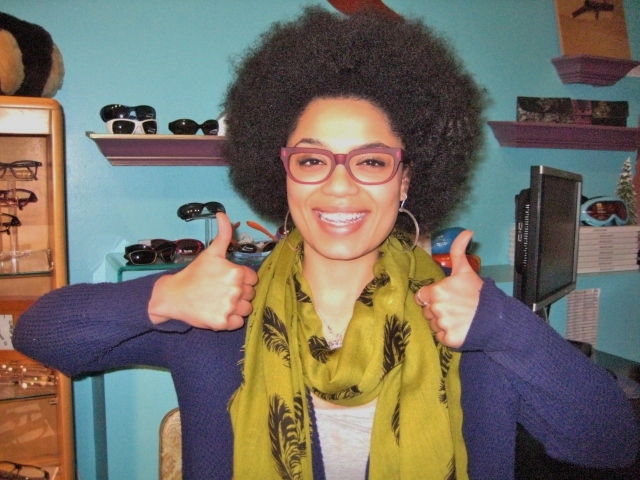 Join us on Thursday, January 15th from 11-7pm for 15% off prescription lenses as well as additional frame discounts. We will have snacks & drinks upstairs…and in the downstairs family room, movies will be playing for the kiddos…along with freshly-popped corn! Honestly, what more could you want while shopping for glasses? New Optician in the House! We have a new lady in the house! Join us in welcoming Adrienne, our new Optical Chanteuse!! We are stoked to have another curly-haired gal join the team! We asked Adrienne a few questions just so everyone could get to know her a little better before you let her pick out your new dreamy glasses. What catches your wee eye at Eye Spy? Um…. the rad ladies I now get to work with. Seriously. What is your favorite thing in the entire world? CHOCOLATE! It makes everything okay. If your house was on fire what would you save? My Cat, Ophelia, my phone….and my Lucky brand boots. Jenny Diver, from Three Penny Opera. Why make the move to Chicago? Wanted to live in a big city that wasn’t too big. I wanted to be surrounded by arts and culture. If I am not in a show…..usually trying to catch up on some quality Hulu time with my man. Adrienne is currently obsessed with the Visionary frame by RVS. We can’t wait for everyone to meet our brand-spankin’ new optician. Come on in and let her sing you a song.